Last night I watched the Grizzlies game in style thanks to my wonderful Grizzlies account exec Marie Bugnitz. She arranged for about 25 of us who have $10 seats to enjoy the Grizzlies-Mavericks game from a suite, complete with food and drinks as well as visits by Grizzlies GM and VP Chris Wallace and Grizz himself. It was a great game. The Grizzlies defeated the Dallas Mavericks 89-70. 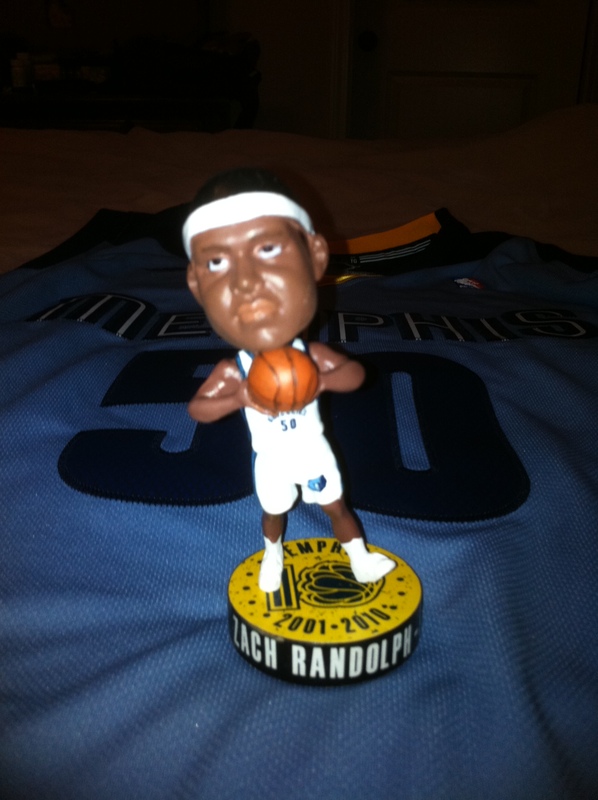 It was Zack Randolph mini bobblehead night and kids night. The little boy who made the player introductions was fantastic, introducing everyone as MR – Number 50 Mr Zach Randoph! 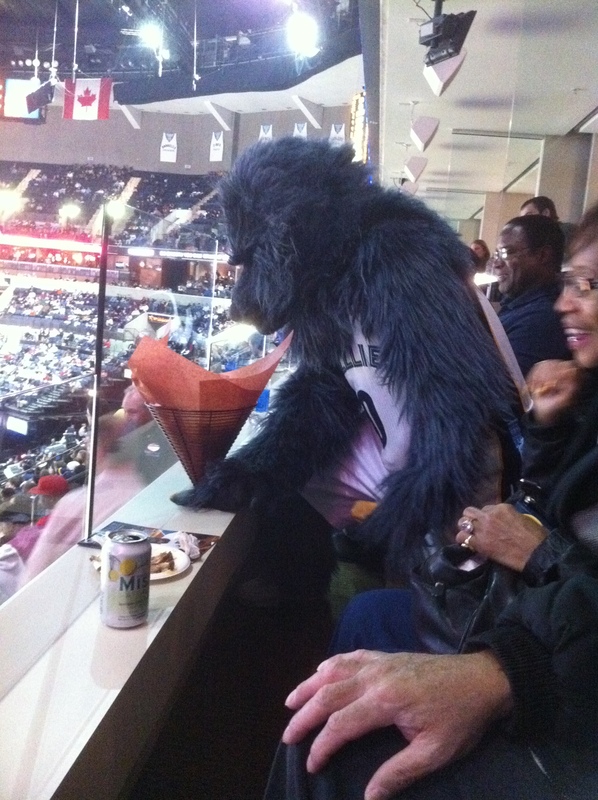 Before halftime, Grizz joined us in our sutie and threw hot dog rolls at the people in front of us. The halftime show featured Future Funk, which was dancing by two adorable very talented little boys who were brothers. 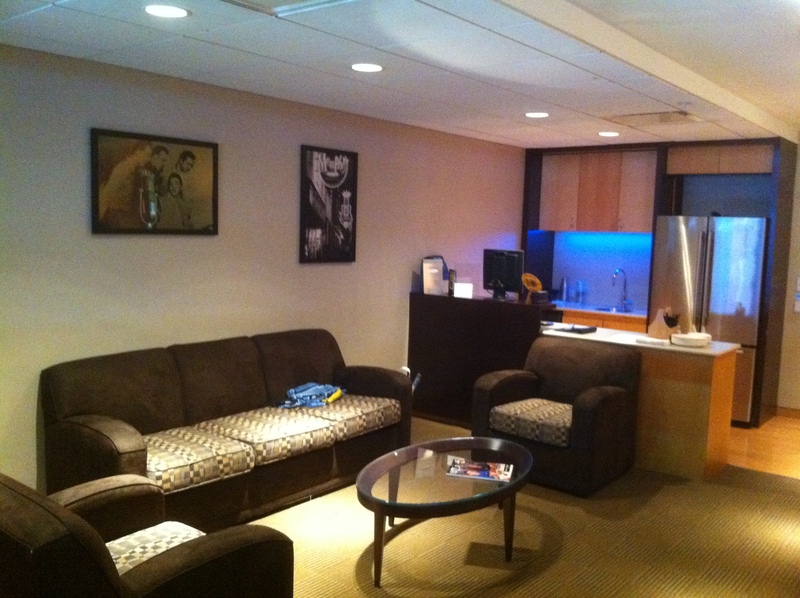 There was a big screen tv in the suite, so we could keep an eye on the NFL playoff game. Marie hung out with us for most of the game, and she brought my autographed Zach Randolph jersey that I got for buying my season tickets early and paying for them at one time. Glad I have Zach’s jersey because he had 23 points and 20 rebounds. It was definitely Zach Randolph’s night! 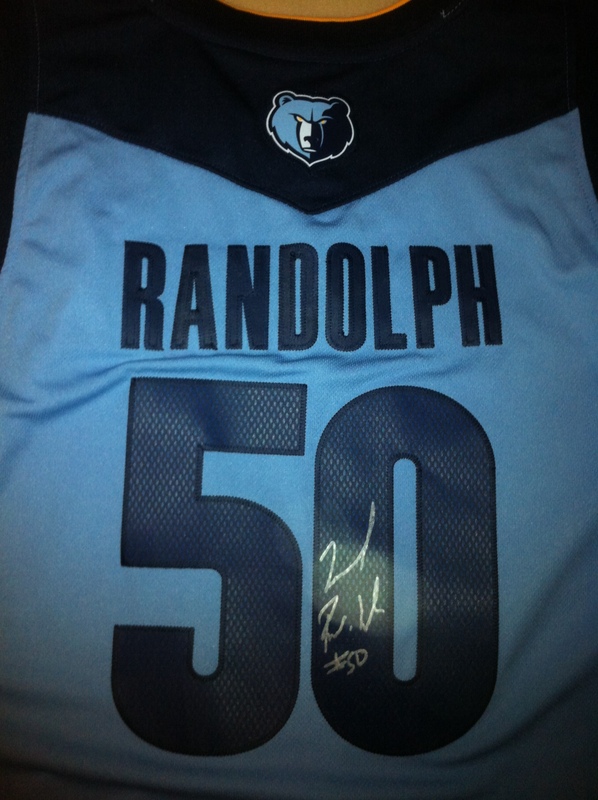 Can I buy that Jersey, ive been looking for a Randolph one for a long time. can i buy that Randolph jersey from you. 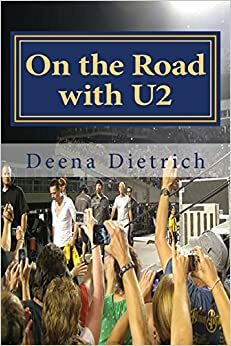 Ive been looking for one for a long time. no, sorry. it’s not for sale. alright, thanks for responding anyways.